Restricted to 4 item(s) only. 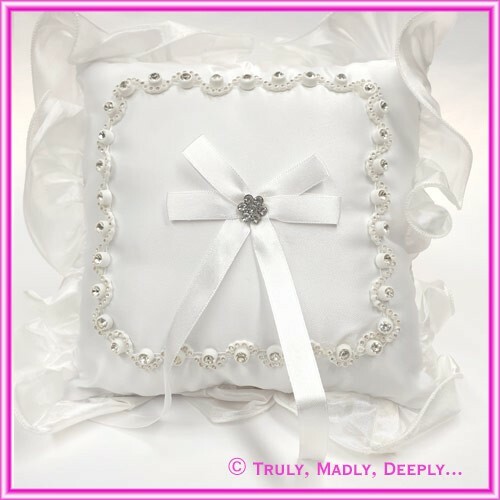 This stunning Ring Cushion will make a statement in any wedding. Ring pillow measures approx. 18x18cm with a 4.5cm satin frilled edge.